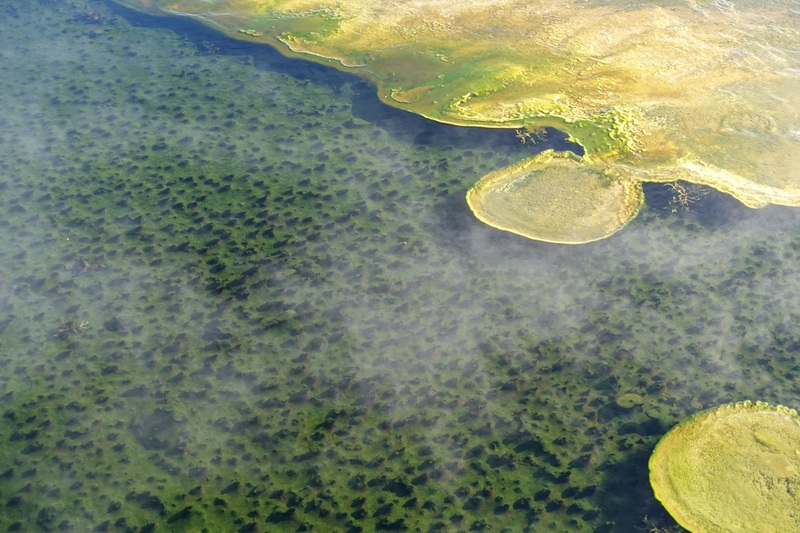 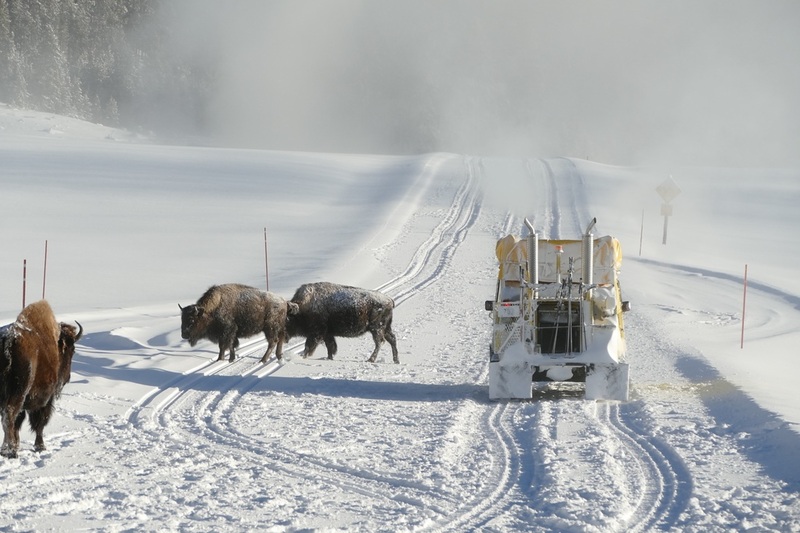 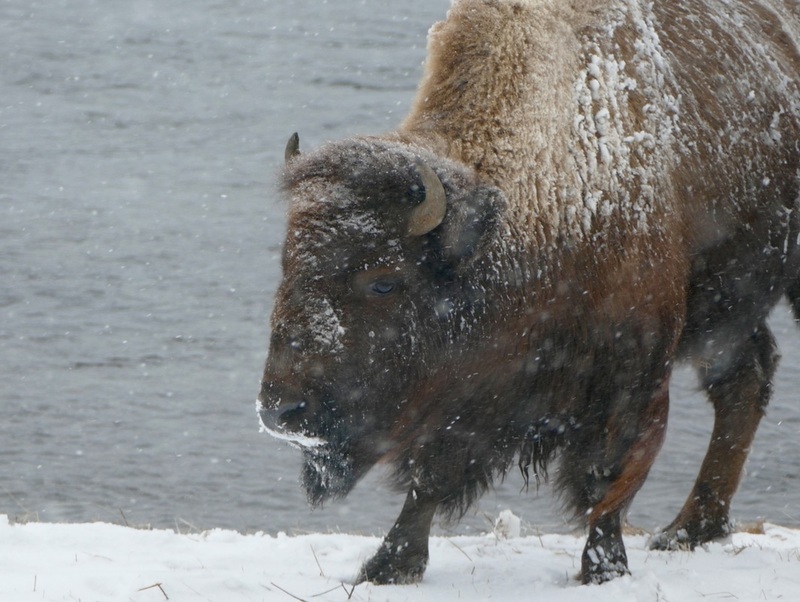 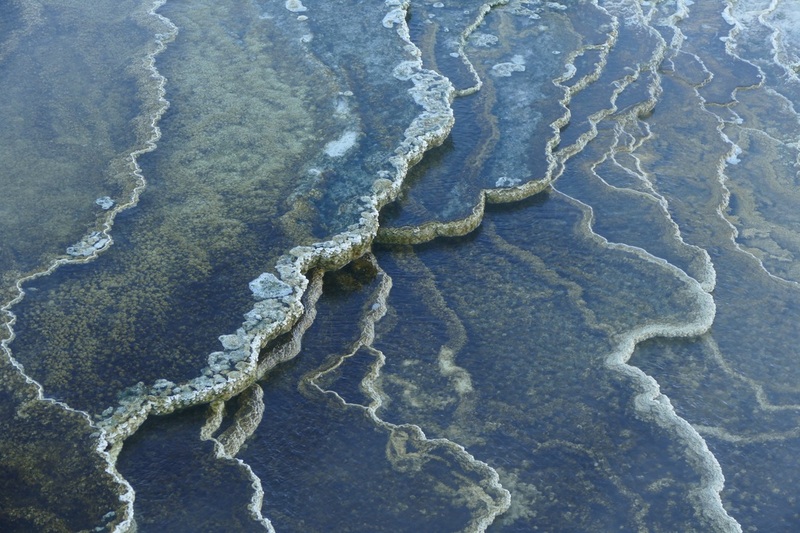 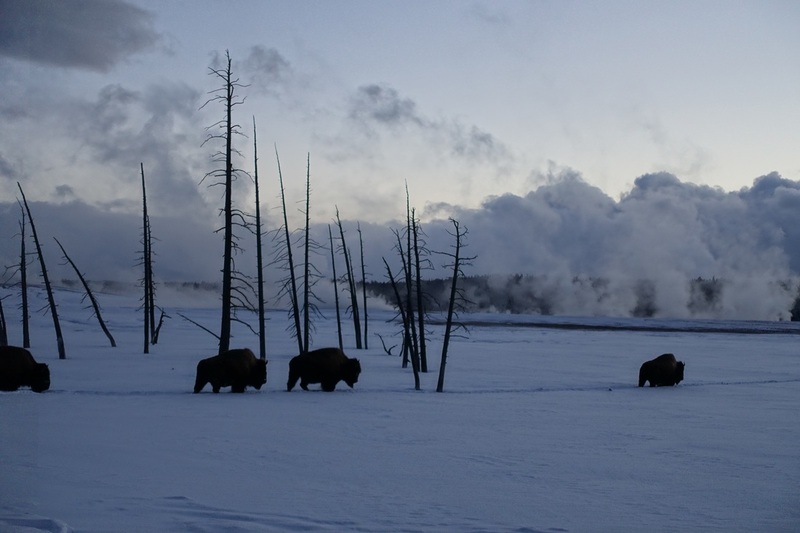 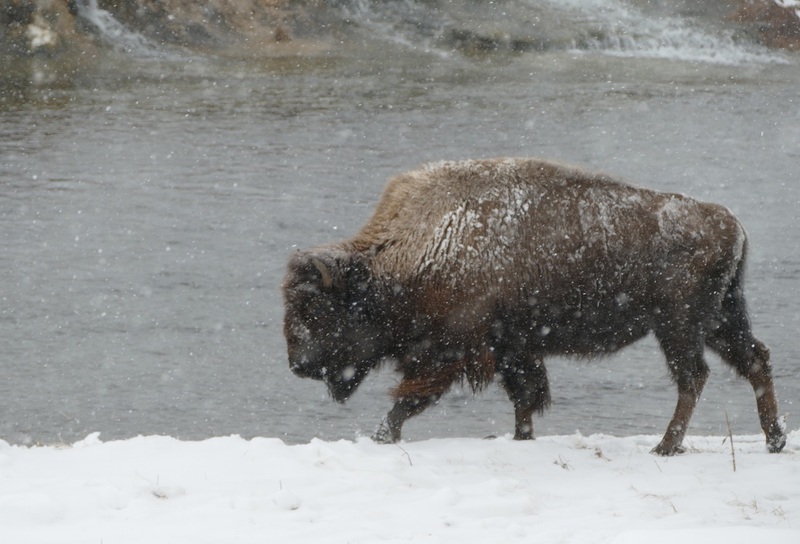 Bison save energy in the winter and hang out in thermal areas where some grass is exposed. 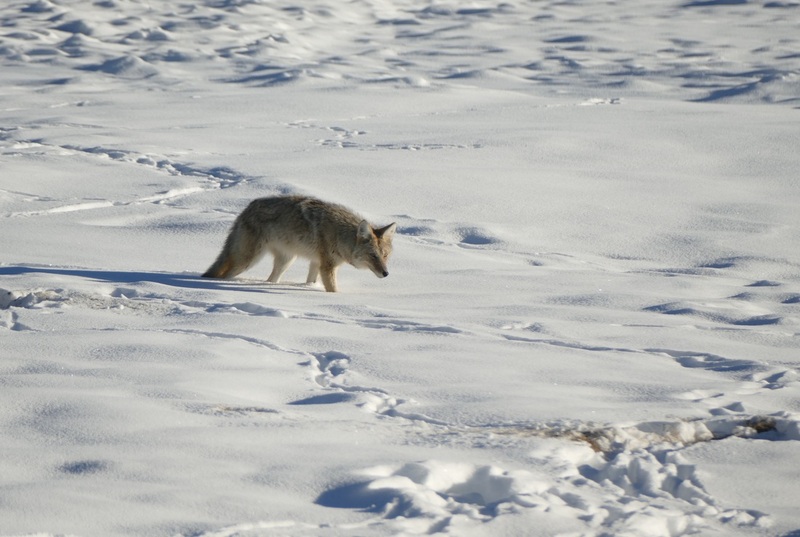 Wolves are more elusive, the morning tours from Mammoth to the Lamar Valley offer the best chance. 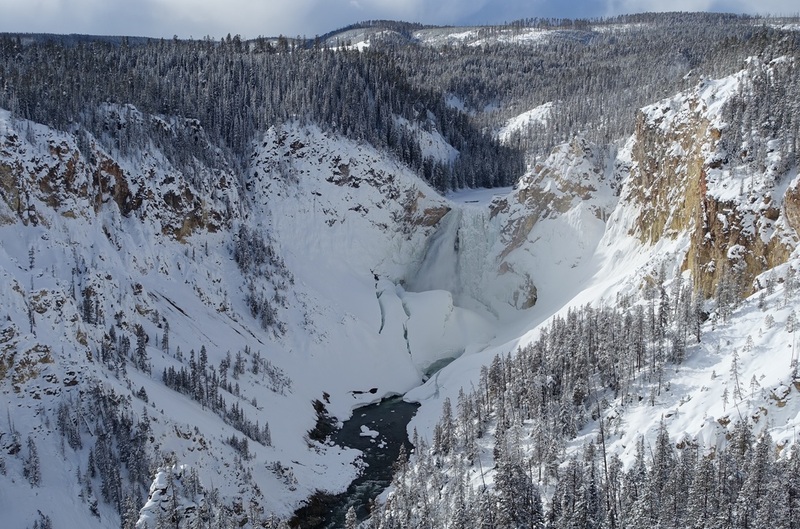 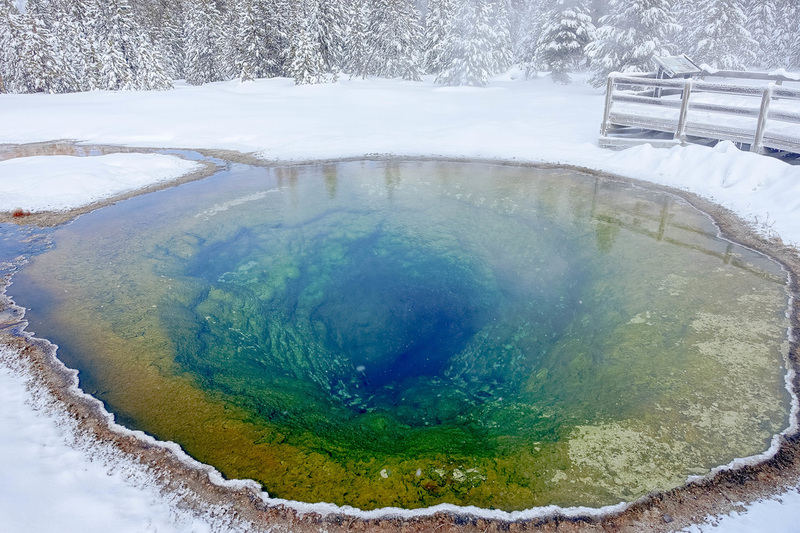 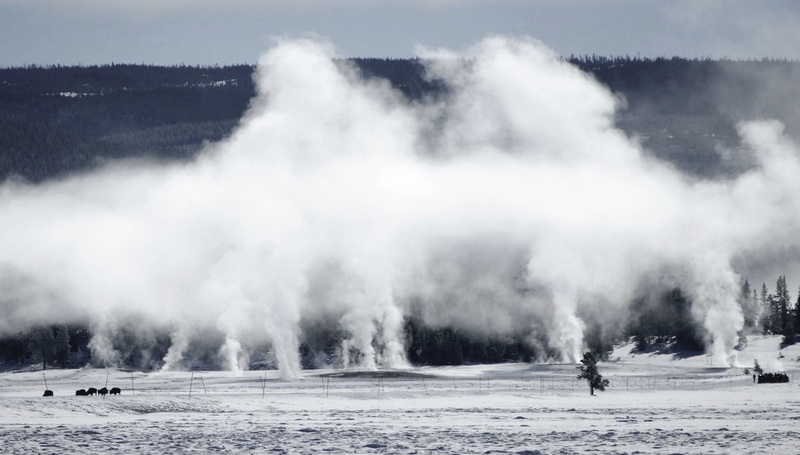 The northern trails that break off the Firehole River are the best for snowshoeing: Black Sand Basin (4 miles), Biscuit Basin/Mystic Falls (7 miles), Fairy Falls (10 miles one way with morning shuttle). 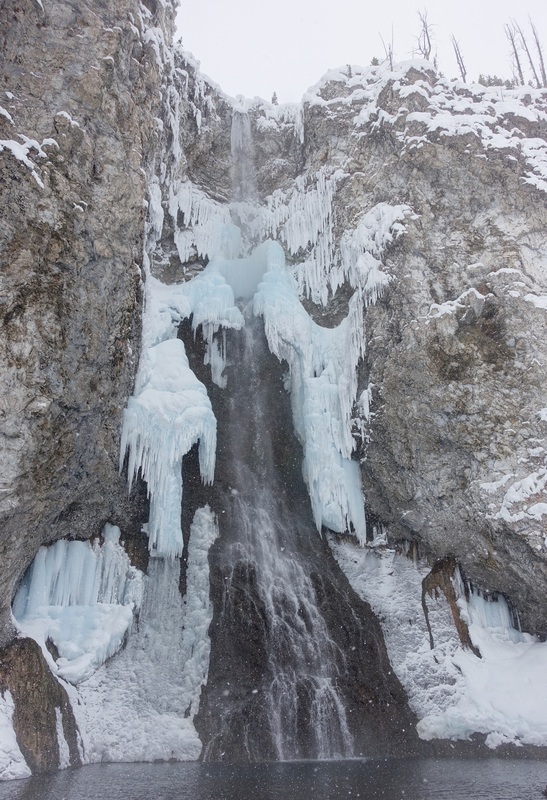 Fairy Falls is long and I had to break the trail, but it was the highlight of the winter experience.